Spend the upcoming weekend in San Diego enjoying everything California’s Beach City has to offer including the San Diego Intl Film Festival and these top things to do. The Del Mar International Horse Show attracts Olympic veterans and world-class athletes, competing head to head for a spot in the World Cup Finals! 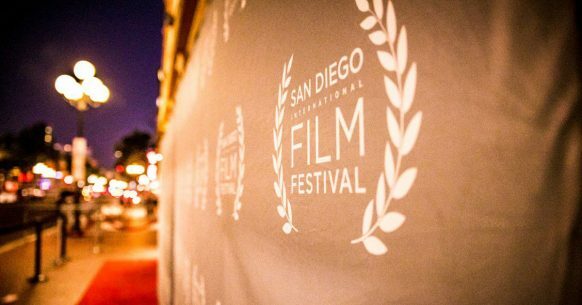 The San Diego International Film Festival is the region’s premier film event and one of the leading stops on the independent festival circuit. SDIFF offers a totally unique film experience; including world premieres, never before seen studio releases, the best in independent filmmaking and a full schedule of glamorous parties and intimate events with filmmakers. Join us Downtown at the Balboa Theater for opening night, Regal Cinema and the ArcLight UTC for screenings and featuring the beautiful Pendry San Diego as one of our venues. Take a culinary trip around the world sampling from our local bistros. Meander along Orange Avenue or take a ride on the complimentary trolley. This will be a night to remember so come and bring your friends! Join in the booing and cheering audience participation, and see the variety of Olio performances between acts at traditional old time Julian Melodrama. We are bringing new designers from around the world to show their never seen before collections on the FWSD Runway. This year we are featuring 15 very talented and dynamic labels/brands on the catwalk in Encinitas. The San Diego World Comedy Jam is the first event of its kind in San Diego, focusing on restoring social tolerance through multicultural comedic arts from around the globe! Headlining this year’s inaugural comedy event is Hungarian-born San Diegan, Zoltan Kazas. Featured acts include Chris James (England), Fabio Rabin (Brazil), Steven Garza (USA), and Gary Wolf (South Africa). The Ocean Beach Oktoberfest is a two-day, eclectic, beachside festival with a variety of exciting activities, contests and entertainment. Wild Life is back and it’s time to explore your wild side! Begin your metamorphosis and let your instincts lead you to unknown adventures at this after-hours masquerade party inspired by our Living with Animals exhibit.Explore untamed parts of the Museum where you’ll encounter insects that make you squirm, discover what fear does to your mind and body, indulge in delectable bites, and so much more. This show is the largest Art Glass show in Southern California and is all about your local Art. You will see beautiful art representing many techniques, including blown, fused, torch, stained, cast, etched and mosaic art glass, all available and created by San Diego Glass Artists. Latin American Art Fair is an annual event that presents outdoor exhibits, painting, sculpture, photography and printmaking as well as folk art, crafts, performance and culinary arts of Latin American countries. The MCRD Bootcamp Challenge features obstacles used only by Marine Recruits plus USMC Drill Instructors providing direction and encouragement. In one afternoon, Taste of North Park invites you to enjoy 50+ food tastes from some of San Diego’s best restaurants and craft beer samples from 15 local brewers. This entry was posted in San Diego Events, Top Things to Do and tagged county, entertainment by Brent Bernasconi. Bookmark the permalink.